The movie featuring dragons, a popular theme in Chinese culture, and made 18.35 million yuan ($2.77 million) at the box office. The movie made more money in a single day than during its entire run in Russia and the CIS (Commonwealth of Independent States) earlier this year. As of the end of the weekend, the fantasy drama earned $6.77 million with an audience of nearly 1.5 million people. Released in Russia last December, ‘He is a Dragon’ became an internet hit in China after a pirated copy of the video appeared on the web. One of the pirated videos got 3.7 million views in just five days, according to Vedomosti daily. The popularity of the movie came as a surprise to the producers. The principal character of the drama does not fit the image of the dragon in Chinese culture as a good omen symbolizing success, power and good luck. — China Film Insider (@china_film) 26 февраля 2016 г. 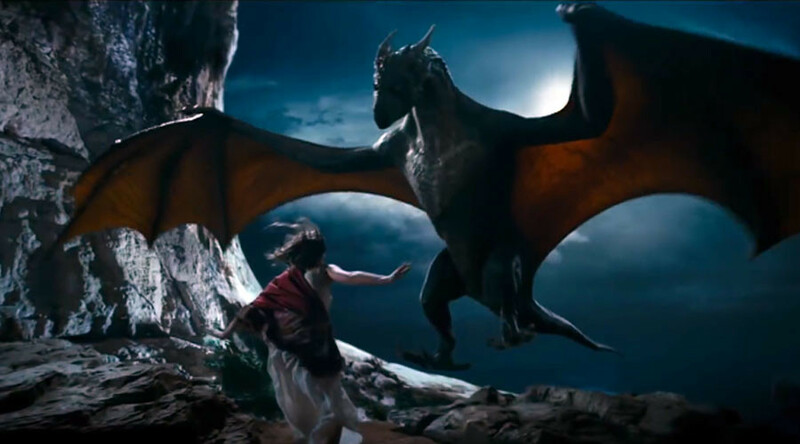 “When we presented the movie to Chinese distributors, they said that locals are unlikely to be interested in the picture because of its plot, as the dragon is featured as a negative character bringing evil, which fundamentally contradicts the national image,” said Valeriya Dobrolyubova, the head of Bazelevs sales department as quoted by RIA Novosti. ‘He is a Dragon’ is on its way to becoming the most successful Russian movie released in China. That honor belongs to the 2013 war drama ‘Stalingrad’, which made $11.8 million at the Chinese box office with $1.7 million on its opening day.